MICODE is 20 years old and has seen his YouTube popularity rise fast. His audience of more than 330.000 subscribers on YouTube and more than 11.000 on Twitter, enjoy his way of simplifying complex situations on the internet. In his latest YouTube update, MICODE explains what can happen if people aren’t careful enough in recognising phishing emails, handling USB sticks or store passwords for online accounts for Facebook, Twitter and Google in their browsers. 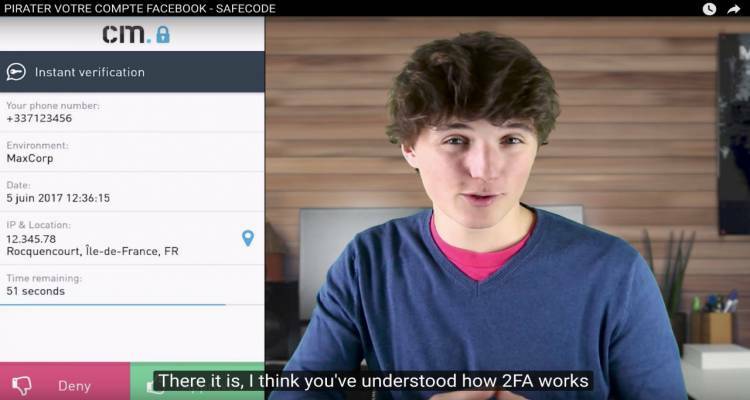 MICODE explains the easy use of two-factor authentication (2FA), offered by internet companies like Google, among others. He also endorses CM’s Authenticator app, which let’s entrepreneurs and businesses secure their online environments like websites and employee portals.